The great thing about a movie is that it isn’t just a single art form on display, but a combination of dozens, even hundreds of different schools and disciplines brought to life on screen. From the moment a screenwriter gives birth to the idea, a team of designers, producers, directors, actors, effects artists, set and prop builders, lighting experts, cinematographers, photographers, editors, musicians and many, many more talented artists are hard at work creating something not only entertaining, but beautiful and aesthetically pleasing. I’ve often said in reviews that a bad movie can still be a great movie under the right circumstances. Case in point, Bong of the Living Dead. This is a stoner horror-comedy about the Zombie Apocalypse that, on the surface, adds nothing new or original to the genres involved, yet is somehow gripping, funny and worth a second watch. I received a screener for the film recently and sat down to watch it. As I said before, the story was not in itself unique to the genres represented, nor was the effects work anything really different. The acting, direction and dressing of the sets all felt like a low-budget B-flick being done by a group of friends for the sake of making a Zombie movie. The story behind Bong of the Living Dead is simplistic overall, featuring a group of slacker friends who have been together since childhood, who find themselves trapped in a home on the brink of Armageddon. Getting high, cracking jokes, and dealing with the natural drama and turmoil that comes from such long-lasting friendships tested by an extraordinary situation provides us most of the comic and dramatic fodder for the feature. They come to grips with the Zombie uprising, cope with it through drugs, wisecracks and angst, and then formulate a plan to save themselves from the ravenous mouth of madness waiting outside. It’s fun, entertaining and if you’re just looking for something to stream while you’re killing time in a waiting room, it’s a fun watch. But Bong of the Living Dead had something that not every low-budget horror flick can pull off: artistic merit. Bong of the Living Dead had some of the most beautiful shots I’ve seen in an indie horror flick in a while. In particular, the end of the film, which was both predictable and completely unexpected. I’m warning you now that I’m going to try not to spoil anything, but I make no promises. As the survivors load up to flee for safety, an injured comrade makes the ultimate sacrifice, leading to a montage of childhood memories mixed with longing looks and a gruesome demise, all of it set to a hauntingly beautiful, triumphant anthem by the Phantods. The shot used a series of camera angles and flashback sequences intermixed with natural lighting and the poignant soundtrack to evoke the perfect ending to any Zombie film. 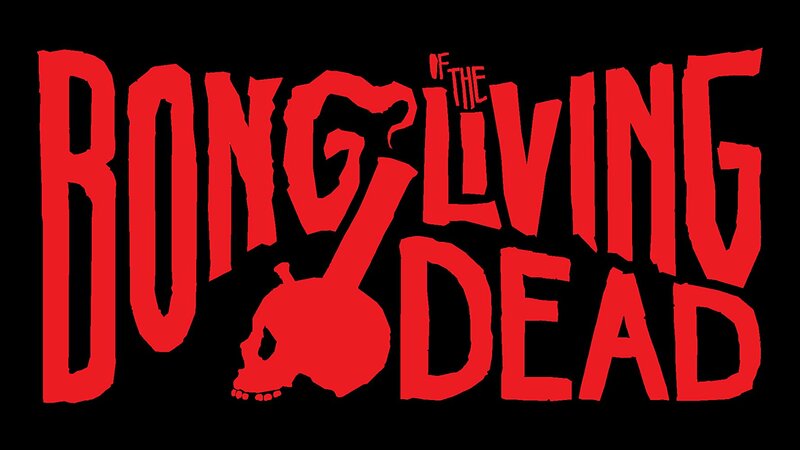 Bong of the Living Dead is exactly what you’d expect from any movie with the word “Bong” in the title, yet it strays so far from its stoner comedy moniker, as to feel like a completely different movie by the time the credits roll. It’s not going to win an Oscar, so don’t expect some Academy-caliber production, but for a fun, heartfelt movie about friendship and surviving the undead apocalypse, it’s pure gold. And so, I leave you with this: any film, regardless its production budget or critical acclaim, is a work of art labored over by dozens, if not hundreds of individual artists and visionaries trying to take words on paper and turn them into reality. And now, I leave you with the haunting end theme of Bong of the Living Dead.